After a tiring day, good night's sleep is all you need. De-stress yourselves on Waffle Reversible 30 x 45 cm Filled Cushion. 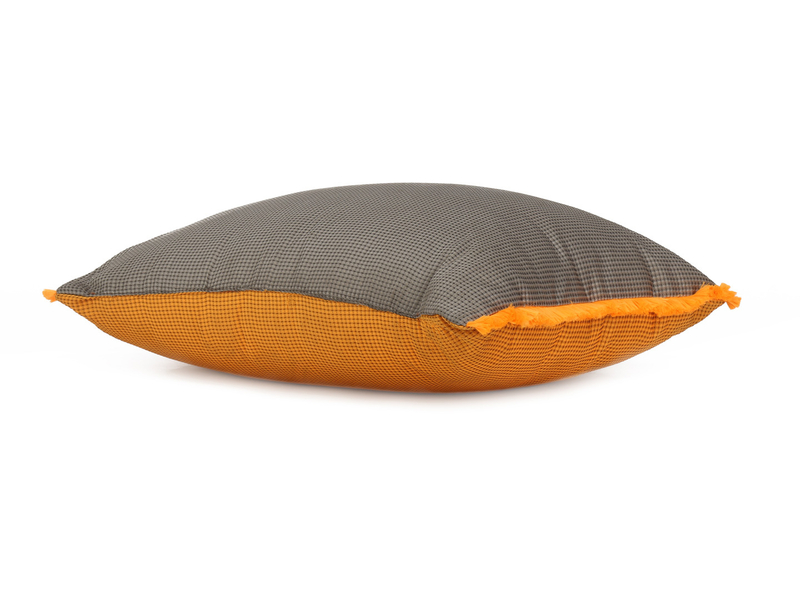 Made of fine-quality material, these super comfy-ready to use pillows are easy to clean and maintain. The microfibre material keeps the shapes intact for long. The subtle tone of orange and grey gives the sleeping space a calm yet refreshing feel. Match these with some astonishing @home bedsheets and expose your creativity. Complement the look of your bedding space by decorating them with these charismatic pillows.